Remodel of Brown Palace and Holiday Inn. LEI was contracted to perform the remodel of the Brown Palace and across the street change the flag from Comfort Inn to Holiday Inn. The two projects included the lobby remodel and 4th floor conversion for a total of 16,000 square feet. The hotel remained open to guests during construction, which included a busy holiday season. Work included electrical and fire alarm on both the first and fourth floors. We had very complicated shut downs to swap out old panels to new ones and keep customers up and running as usual. There were not only time line constraints but also limited working hours and noise was limited due to occupied areas. 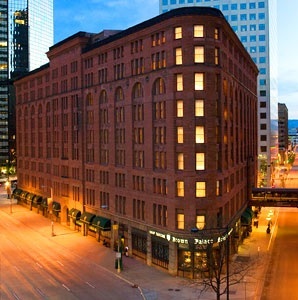 CH Realty VI/H Denver Brown Palace, L.P.